This is the title of a book, “Musings on the Nascent Senior Living Industry in China” by Bromme Cole, an American working in China as a consultant in the field of elderly care. He also runs the Shanghai-based Care Forum which takes place each November. With several diversions into Chinese wisdom, tea and filmography, he charts some of the challenges and mistakes that both Chinese and foreign investors and operators have made in the emerging elderly care market. It was good to meet him last month and catch up on his plans for this year’s Expo (a possible destination for a UK trade mission) and his apps, one of which links volunteers with opportunities to help, a strong tradition in China and amongst employees of Chinese companies. I arrived in Shanghai by way of Hong Kong and Hangzhou. The latter provided an opportunity to meet a potential customer for UK companies and one of those places I’d love to return to as a tourist with its lovely canal, riverside and lake -- “the most beautiful waterway named West Lake in the world” (there are apparently 16 of them worldwide). In a hot and muggy Hong Kong, I joined UKTI colleagues at the wonderful Hospital Authority Convention, a treasure trove of fascinating talks, opened by a traditional drum band, drawn from staff across the public healthcare system; 79% of healthcare in Hong Kong. However, whilst 90% of bed days are publicly funded, only 30% of primary care attendances are. The Healthcare UK/UKTI stand was a stylish S-shape whose walls and TV monitors showed some of the best of the UK’s 8-step journey to creating a top class hospital and a busy bubble diagram of our primary care. Through the two days, UK experts (including Sir David Nicolson) gave talks at the stand and in the main convention halls. I did one celebrating the services of Cornwall Partnerhsip NHS Trust and another showing how we make our hospitals ever more efficient. I also chaired a session describing how we (and on this occasion Australia, too) design in both clinical and cost effectiveness to our hospital design. Thanks to EC Harris and architects Murphy Phillips and Ryder for this. Hong Kong is investing an extra HK$80bn (about £6.5bn) in new healthcare infrastructure and has seen its public health service budget increase by 50% in five years (though this still makes it only 2.5% of GDP with another equivalent amount in the private sector). It is facing a huge demand from a very rapidly growing elderly population with 40% of the population expected to be over 60 by 2050. It has the best life expectancy in the Asia Pacific region (currently 82) and the lowest birth rate at about 1 child per couple. So the government is placing its main focus on community services and encouraging self-sufficiency in finance and care arrangements, relying on market forces. Where people need government help, there will be some means testing and co-payment necessary. They will also encourage greater fertility, working into older age and careful increases to immigration (for the workforce). They recognise the importance of supporting informal carers and are establishing a range of pilot programmes and an active ageing framework. 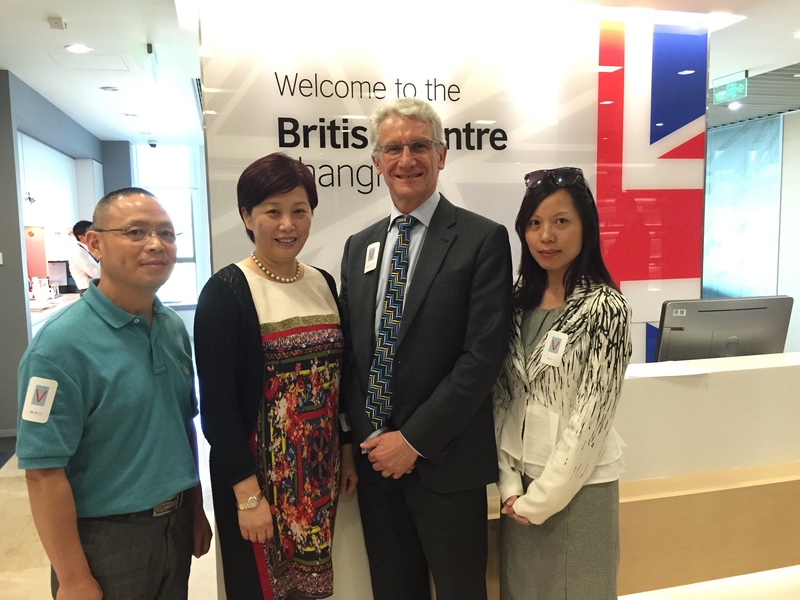 So, are there any opportunities for the UK in elderly care in Hong Kong? If you are well off, you are most likely to hire carers to visit or live with you, manly immigrant labour. Developers find it more profitable to sell apartments than elderly care facilities in the constrained real estate of Hong Kong. But we saw the YMCA’s plans for a new home of 250 beds. YMCA has an interest in training, record systems and remote monitoring. We also saw an emergency call centre setting up remote monitoring and heard from the government of potential opportunities in training for the 500 private care homes and several domiciliary agencies that do exist. Massive storms gathered over Hong Kong as we tried to leave. After 7 hours in the very modern airport, I finally made Hangzhou and the short high speed train ride to Shanghai. Here, thanks to Care Expo’s GoodMatch process, we were back in the land of huge developments. A customer with a stunning view of the river downtown, developing an initial 500 retirement living units, with 20% assisted living and 10% nursing home – looking for a service operator. We also met a developer whose USP was the combination of education, leisure, occupation and healthcare with 8000 units and interested in UK consultation, design, operation, training and talent development. Another project owner is planning a new 600-bed hospital for older people working hand in glove with the local public hospital, wanting advice, training, informatics and nursing care support. Another investment company is developing tens of thousands of units across China for five levels of need from healthy older people to end of life. They are interested in service development, operation and standards, training (top work with their own training outfit), information systems (including possibly remote monitoring) and medical technologies. Some real business opportunities that we hope we can match with UK suppliers. Doing business in China can be challenging but as Confucius says: "it does not matter how slowly you go, so long as you do not stop". Why not join the Healthcare & Life Sciences UK Roadshow 2015 which will feature elderly care as well as other areas of business such as hospital development, training and education and digital health? You can find out more details here, CBBC - Healthcare & Life Sciences UK Roadshow. The Roadshow runs in major cities across the UK from 29 June. There is also an-NHS bespoke event. And look out for forthcoming adverts for our next elderly care trade mission in the autumn.